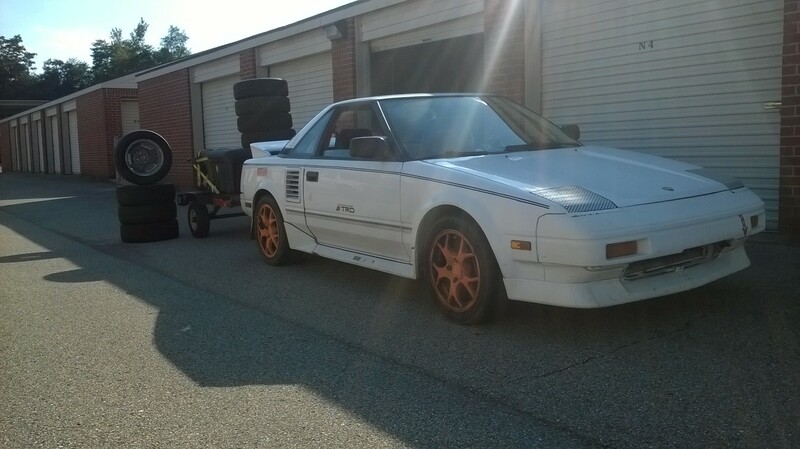 Forums » Cars For Sale » 1987 AW11 MR2 rallycross car no rust 4k obo. Well. Bought this not long ago on this very forum. Turns out I've got too many cars, and this one has got to go. It's a stock 4-AGE with a loud exhaust and a lot of the weight stripped out. In the month I've had it, I've changed the alternator, added a set of BF Goodrich a/s tires (<500 miles on them), stripped some more weight out of it and put polyurethane bushings on every front end suspension joint, including the steering rack mounts. Comes with 1 and 3/4 sets of rally tires, a set of slicks, and 2 sets of street tires. 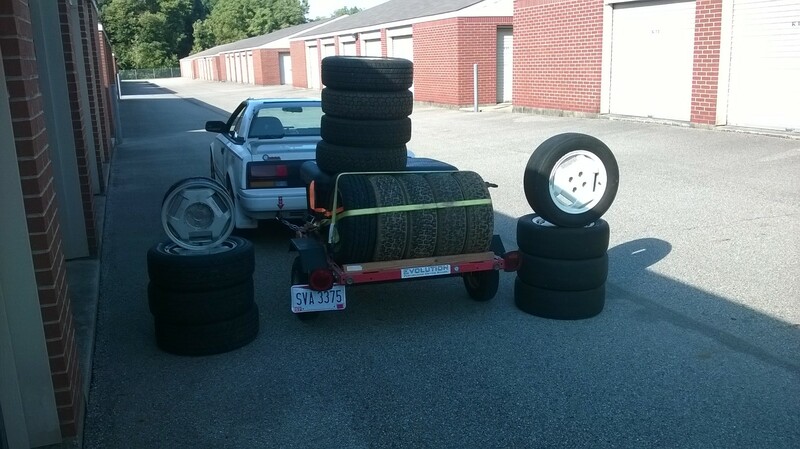 Also a tire trailer. 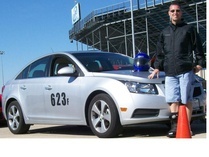 Does Autocross, Rallycross, PDEs or it can get you to work. The best part of the car is the shifter, which is absolute butter. Interested in trading for a good Porsche 944 turbo engine or parts, ported rotary engine (to replace the 12a in my MGB when it inevitably dies), Mazda RX3, Ford Ranchero, Suzuki RE-5, some other Ford, Old BMW motorcycle, or something Italian or French. Or any other oddball trade, I'm pretty open. Gee, that looks familiar. Sorry she didn't work out for you, hope it's just too crowded in your house (see what I did there?). I'd be interested in taking back those slicks on white wheels if you're interested in $100 (about what I paid for them). Apparently I'm buying another MR2 soon. 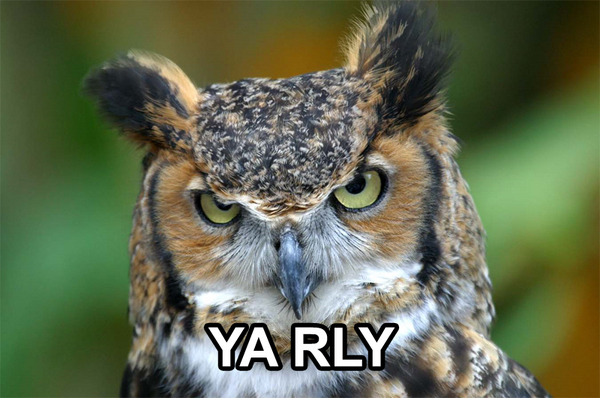 EDIT: your "other images" link is one photo. Damn. I wanted this thing the first time around, too. But unfortunately I already know I have too many cars. GLWS. It's a nice car, and I wouldn't hate keeping it, but I didn't build the thing to begin with, and I don't really have an emotional attachment to it. I thought that was what I wanted, because if I didn't care if I ruined it, I could drive it that much harder on a track. Well, turns out I value my own safety too much [read: I'm a coward] to really drive it that hard, and I don't like it enough to spend the money it would take to sort it to my preference. I've already got a project and a half (more if you count keeping an '85 BMW up to daily spec), so this is just one car too many for me. I don't want to let it sit, which is how my 951 got so bad (previous owner let it sit two years with a blown engine, I'm already up to 5 months with minimal work done). Forgot to mention that the miles are under 115k. Jerry: If the new buyer isn't interested in the slicks, I'd be willing to sell them back to you, otherwise I'd like to keep the package as together as possible. Cactus wrote: Jerry: If the new buyer isn't interested in the slicks, I'd be willing to sell them back to you, otherwise I'd like to keep the package as together as possible. Bump because I think I've priced it above the market and I made an adjustment. Price adjusted again, I need to free up space. Well If you are at all interested in a volvo 242 b23 with cage. I need a DD with a soul. This civic I am driving is draining the life out of me. Bump. Still interested in a weird trade. How many rust free AW11s are left? is a logbooked DSM (talon TSI, AWD turbo car) with a clean and clear title weird enough? Logbooked and clear title? Like, drive it to the track, go racing, then cry when it's broken and I have to tow it home? Yeah, that's weird enough. Understeer scares me a lot more than oversteer ever did, but I'm certainly in for pics and info. Shoot me an email. Never did get a response for that. I'm looking for something with a bench seat in the front. Please do, I'm quite friendly and easy to get along with. Interested in trading for a 1980 Subaru BRAT? Runs, drives, turns, stops- doesn't do any of them particularly well. Rusty but not beyond saving. Shoot me some pictures. I've been kinda looking for a small truck to haul an engine or transmission around. NONACK wrote: Interested in trading for a 1980 Subaru BRAT? Runs, drives, turns, stops- doesn't do any of them particularly well. Rusty but not beyond saving.